It’s here! 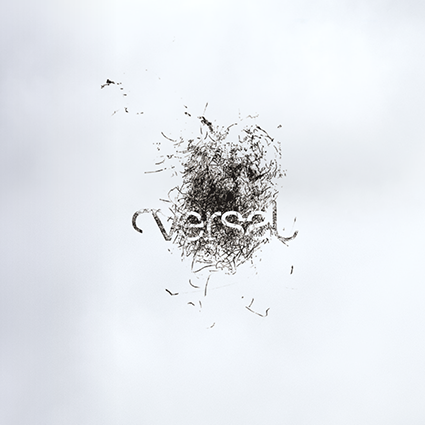 Versal’s long-awaited print return! Versal 12's distinctive gallery-esque pages feature selected contributors from our first VERSO/ season, “migrations”, alongside writers and artists from around the world. Please join us in celebrating with an evening full of music, Versal 12 cocktails and beers, stage appearances by contributors, and most importantly, limited edition copies of Versal 12 for you to take home! VERSO / live jour- nal: "Water"
VERSO /'s fifth number is guest edited by Euan Monaghan, the editor of British literary magazine Structo. The evening also welcomes fiction from Christine Stroik Stocke, poetry from Susan J. Nassuna and a screening of the short film The River Man followed by a Q&A from cinematographer Doug Hancock. ...returns to the Netherlands after a successful run at the Ednburgh Fringe Festival 2015. Het programma staat online en de kaartverkoop is gestart! Van 31 oktober t/m 8 november 2015 vindt op verschillende locaties in Amsterdam het achtste Internationaal Storytelling Festival Amsterdam plaats met dit jaar als thema op reis. Iedereen maakt een of meerdere bijzondere reizen in zijn leven, in zijn hoofd of fysiek. De één zijn wieg stond ver weg en legde een lange weg af om hier zijn of haar thuis te vinden. De ander werd hier geboren, maar voelde zich nooit thuis. Sommigen moesten vechten, anderen kregen het geluk in de schoot geworpen. Die verhalen willen we verzamelen en presenteren. This Friday, Mezrab assembles an all star cast of Amsterdam Improvisers. Once a month (every second Friday) Mezrab dedicates its story night to the art of the true story. Bringing in the urban sheaves!